Want to nominate someone you know? Click here to tell us why! NACP: How long have you worked in the victim assistance field? NACP: Where do you practice as an advocate now? NACP: What do you see as the benefits of credentialing? John: Being identified with an organization whose mission is victim advocacy, education and having a personal code of ethics for professionals. NACP: How have others reacted to your credential? John: Many of my colleagues have asked how they could become credentialed. NACP: Do you display your NACP credential and use the “CA” after your name professionally? John: I am proud to have my framed advanced credentials hanging on my wall in my office. 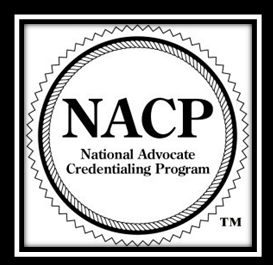 NACP: Do you have a story related to your proudest moment as a CA or credentialed advocate? John: The Nevada Attorney General asked our County Attorney to respond to the Mass shooting that happened at the Route 91 Harvest Festival. We worked 12-14 hour days for 5 days straight, we met with victims to help them process what had happened to them and their loved ones, while also connecting them with services. Time and time again we would see victims come into the center with despair and hopelessness on their faces and then leave relieved and appreciative. This was the most exhausting and yet most rewarding experience I have had as a credentialed advocate. Thank you to John and the over 6,000 advocates who have been credentialed since the program’s inception in 2003! 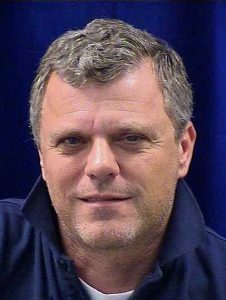 *The NACP featured CA of the Month is a randomly selected credentialed advocate. The highlighting of these CAs is not meant as an endorsement or assurance that the featured credentialed advocates are qualified or competent to provide services to crime victims.